Let us start with an important point. In this comparison we will mainly use the word “Aikido Gi”. “Gi” in Japanese means “clothing”, while “Kimono” is the traditional Japanese garment often worn for ceremonies. The term “Aikido Kimono” has been improperly used in the west for decades and it is now difficult to correct this error. It is also possible to use the term “Keikogi” (meaning work/practice clothes) Dogi (clothing of the way) or Aikido Gi (clothing of Aikido), but not “Aikido Kimono” which does not make sense in Japanese. Indeed, who would wear a traditional silk Kimono for martial art’s practice?! (This said, let’s be honest: O’Sensei did! But that is another story.) In short, from now on “Aikido Kimono” => “Aikidogi” ! The Aikidogi was created and its present form defined in the 60s by a famous Japanese brand still active today, originally specialized in Judo equipment. The Aikido Gi was created following consultation with the teachers of the Hombu Dojo at that time. However, we should keep in mind the technical limitations and the needs of the practitioners back then. This famous brand being initially a famous Judogi maker at the time (they no longer work in this field), the result was the “traditional” cut that can still be found under several brands, including Seido, but actually very close to the Judogi cut (the old/traditional Judogi cut). For decades this cut has not changed even though the needs and the morphology of the practitioners did. Meanwhile, other models were created by different companies, often with little background to work with, based on a very limited number of opinions and no real expertise. Aikido is a non competitive sport and there is no sponsorship system. The manufacturing of Aikido equipment does not interest many people and there is no large-scale study on the body type or the needs of the practitioners. Today, Seido is trying to make a difference, by collecting opinions from various existing groups, but the problems remain largely the same. The manufacturing of Aikido equipment does not enjoy the same means as that of Judo, Karate or other competitive disciplines. § What type (weight) for my practice? – The models called “light-weight” or “ultra-light-weight” for hot regions or travelling. The Japanese summer with temperatures up to 40°C and a humidity of 90%, a lack of air-conditioning in most Dojos, one can easily understand the success of these models here. They are also popular among practitioners who go to seminars often. Light because of the reduced thickness of the fabric, they also absorb less sweat and are therefore also lighter to carry after practice. Further, they dry quickly. However, often criticized is the lack of solidity. This is true to a certain degree, but the Japanese fabrics are of excellent quality as is the type of weaving, especially designed to make the fabric as resistant as possible given its finesse. – The models called “standard” or “classic” are usually made of “rice grain weaving” (Sashiko) fabric, single layer (Hitoesashi) with a “diamond weaving” (Hishisashi) fabric on the lower part. Its general appearance is almost identical to that of a Judogi. Neither especially light nor heavy, these models are very versatile and therefore often recommended for beginners and actually worn by the vast majority of the Japanese practitioners. Japanese Judo equipment makers don’t manufacture any single layer Dogi nowadays, and made in Japan single layer Gi are basically only produced for Aikidoists. – The “heavyweight” or “super-heavyweight”models are also made of “rice grain weaving” (Sashiko) fabric and a “diamond weaving” (Hishisashi) fabric on the lower part, but double-layered (double weaving to be precise or Futaesashi), (which is the reason for its heavy weight), and with a cut very close to that of the Judogi of top brands like Mizuno or KuSakura. These heavy-weight models are often called “Senshuyo” (competitor) or “Shihanyo” (for Shihan, teachers). Naming them “competitor” does not really make sense in Aikido, but the “Shihan” models are often extremely thick and heavy, with a vertical back-seam (rather unpleasant for Ukemi). (By the way, it is a running joke among practitioners to say: “Shihanyo! – for those who do not practice Ukemi anymore!”). Rarely favored in Japan, these models are still popular with western practitioners. This is probably due to the fact that before the arrival of the “Made in Japan” Aikidogi on the international market, everyone wore heavy and thick Judogi and many practitioners still wear them today. Why choose a light- or semi- over a heavy-weight model? 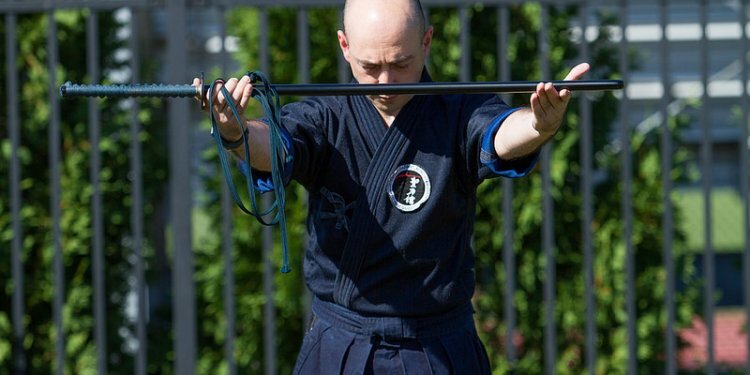 For the Aikido practice, or at least in our opinion, it is desirable to at least have the possibility to let your trainings partner strongly grasp your Dogi in order to perform a correct technique. The Judogi on the other hand are not only thick and stiff but also rough, especially designed to make seizures as difficult as possible during competitions. However, note that the WA800 Extra-Soft Aikidogi (Double Layer) is treated with a biomass flow-through solution that makes the Dogi ultra soft and very pleasant to the touch. The lightweight models are considered for the practice during summer, warm areas and for practitioners who travel a lot and need to carry 2 or 3 jackets in their suitcase. As indicated in the short historical summery at the beginning of the article, the so called “traditional” cut is based on the Judogi cut and thus very wide and with sleeves covering the wrists but with a relatively short jacket. The AS200, WA300 and WA600 models are based on this cut, respecting the tradition, but from our point of view it is not what is best and most adapted for Aikido. Our team is still trying to figure out what a “real” Aikidogi designed especially for Aikidoka could and should be like. The Aikidogi labelled “New Aikido Cut” are models with shortened sleeves, lengthened jacket and whenever possible without back seam. This goes for the AS100 (rice grain weaving, single-layer), AS250 (identical to the AS200 fabric), Aiki (super lightweight) models. These Dogi are generally for rather skinny practitioners.